Light + Love : The Angel. Maris gave this to me the last time we met in Cebu. Her beautiful little girl Ninia, she said, picked this for me. 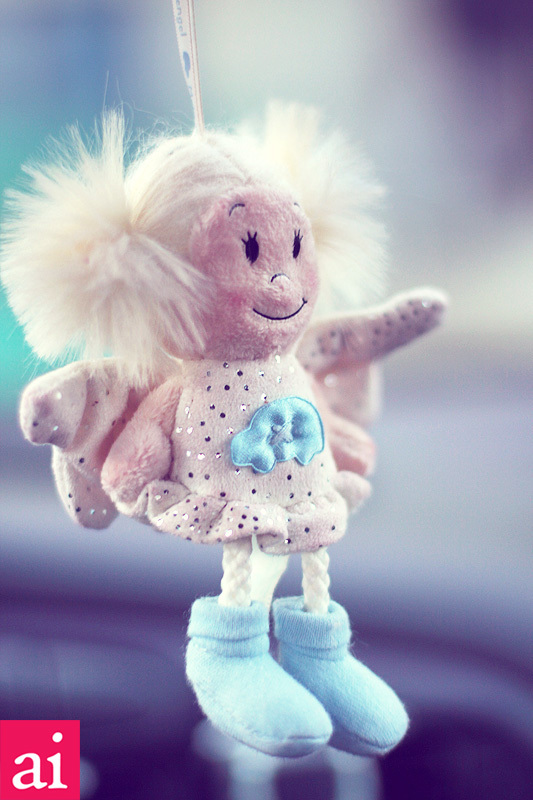 It's an angel and it now hangs in the car. detours and quick turns, life is good. i agree ai, life IS good. and the bruises, burns, detours and sudden drops are a necessary part of it. I miss you, too, Pat! Looking forward to the day we'd sit down again, talk, and laugh our hearts out. Angels need not always be flawless, heavenly, sublime. Some of the angels I know have been through hell and came out of it, like you said, bruised. Bruised but wiser. Wiser and inspiring.